Running a hospitality business is certainly challenging, but technology is making it easier. In fact, several helpful apps have been specifically designed with the food and beverage industry in mind. From making faster payments to organising orders, these apps could help take your hospitality business to the next level. Kounta keeps hospitality businesses moving by making it easier to seat customers, take orders, and process payments. 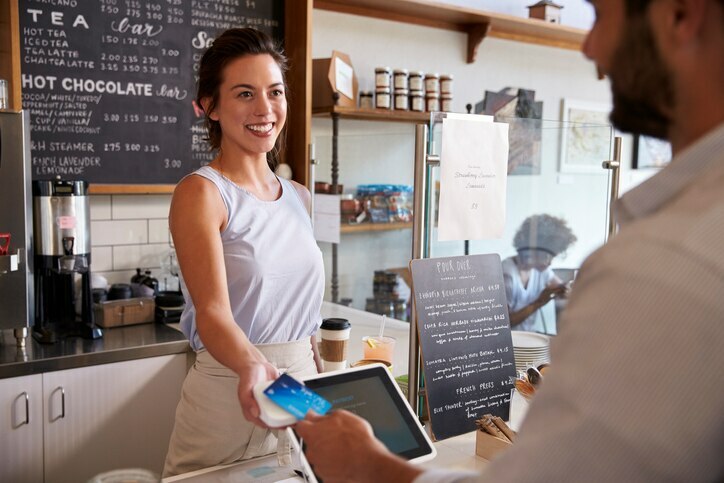 Whether customers are by the counter, at the table, in the queue, or located remotely, for example, at a pop-up food stall, Kounta ensures fast and secure transactions and happier customers. Features such as customisable dashboards, interactive table layouts, recipe creation, inventory monitoring, multi-site management, and offline functioning, make Kounta an app you can appreciate. Furthermore, Kounta is easily merged with QuickBooks Online for real-time account integration. Deputy is hailed as the complete staff management toolkit. This cloud-based app makes creating staff schedules, assigning work tasks, tracking employee hours, and keeping the team up-to-date a breeze. With QuickBooks Online integration hospitality business owners can sync employee pay rates to track staff costs and profitability, set custom pay rates, monitor time for billing purposes, and export all relevant data to payroll with the click of a button. Bump-it is a wireless kitchen display platform designed to revolutionise the way hospitality businesses run. Conveniently merged with the Kounta app, Bump-it allows users to manage production dockets digitally, alleviating the need for pesky paper dockets, and streamlining kitchen operations. With Bump-it, staff can virtually prioritise orders, combine dockets, set timing alerts, search docket history, and view a live feed of items currently on order. Similar to Deputy, Tanda focuses on employee rostering and time clock attendance. With features that make it easy to onboard new employees, monitor staff hours in real time, and interpret financial data to optimise rosters, Tanda helps hospitality business owners predict how many staff they need at any given time and automate employee scheduling in the cloud. It also easily integrates with QuickBooks Online, giving your client instant access to employee data and aware-interpreted timesheets. QuickBooks Online keeps important business finances organised and allows users to access critical business information anytime, anywhere. QuickBooks will help you take greater control of customer payments with easy invoice generation and quick and secure payments, keep track of Goods and Services Tax (GST) and lodge your Business Activity Statement (BAS).